Clubhouse with full facilities. Professional shop. Par 3 practice course. Equipment hire. Golf practice facilities. 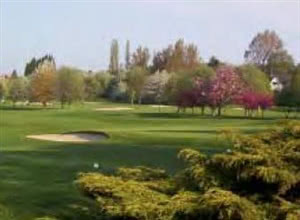 Letchworth is a 6,443 yards (white tees) par 71 course in Letchworth, Hertfordshire. The SSS from the whites is +1 above par. About a 90 minutes drive from South West London. The course was founded in 1904 as a 9 hole course and later extended to 18 holes in 1910 under the advise of Harry Vardon. Harry Vardon and James Braid played the opening round on the extended course. Eight other Open Champions have played the course, notably Johnny Miller. Neil Coles started his golfing career as a junior at the club. The course is beautifully laid out in undulating parkland and is in excellent condition. Bunkers are large and deep and in very good condition. Trees are in abundance and provide an intimidating outlook from many of the tees/holes. Many of the holes involve uphill approaches to the greens. Club selection is crucial. Three of the par 3s are semi-long, ie 184 - 195 yards, all are challenging. The 17th is particularly daunting with a carry over water. The greens are in excellent condition. They are generally large, tiered and with many undulation, though they are reasonably fast. Because of the size of the greens, my unfamiliarity and the many uphill approaches it was difficult to leave the ball within a 10ft circle of the pins. Visitor green fees are £43, or £26 as a members guest or £20 with a County Card. I played the course by entering their annual Seniors Open Competition. The entry fee of £39 included coffee/bacon roll, 18 holes, a two course carvery meal, coffee and prizes. Wonderful vfm. The hospitality provided by the members/competition organisers, the pro-shop staff and the bar/catering staff was excellent. The post match meal was stunning. Black squirrels inhabit the course and were spotted on a couple of occasions. I very much hope to be able to enter next years competition. A wonderful golfing experience.